The almond tree gave Mediterranean women one of their very first beauty secrets. 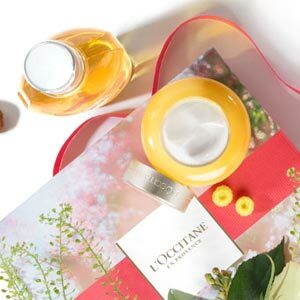 A fruit with a velvety-soft skin and a tender heart, the almond has the distinctive ability to become firmer with time.The L'OCCITANE Laboratory has revealed its hidden talents in products that help to moisturize, firm and smooth. Discover a delicious way to beautiful skin. Help the body fight against skin slackening while bringing 48 hours of hydration. Enriched with powerful almond extracts, this body cream helps to smooth and beautify the skin. Enriched with pure caffeine and formulated with almond proteins, Provence almond oil and pressed extract, helps skin look more tightened, for a body that appears firmer. Drawing inspiration from its mouthwatering scent and its exceptional properties, L'OCCITANE created the delightful Almond bodycare range for skin that looks more refined. From body massage to fat-burning ingredients, discover our tips on how to get rid of cellulite, for a smooth and beautiful silhouette. After winter hibernation, are your legs ready for summery outfits? Discover how to have perfect-looking legs at any time in 3 simple steps thanks to our beauty guide. They've been safely hidden away all winter, and now we have the tips and tricks to get your pins in perfect condition for the summer months. Embrace an ultra-sensorial shower experience for a skin that is moisturized and nourished all day long. 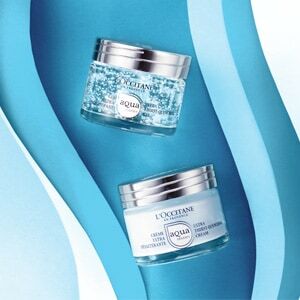 92% of women said their skin felt immediately moisturized, while 90% said their skin felt softer*.